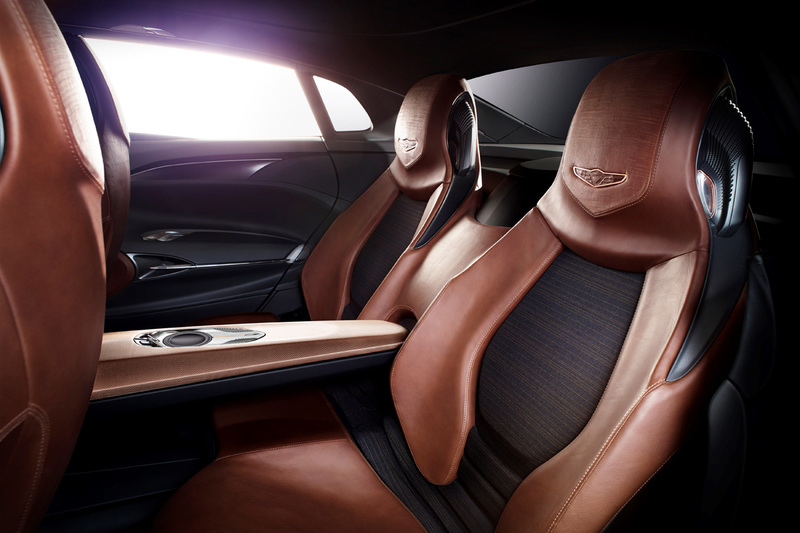 Hyundai’s Genesis luxury brand is all-new, with a clean sheet of paper in front them when it comes to design and creativity. 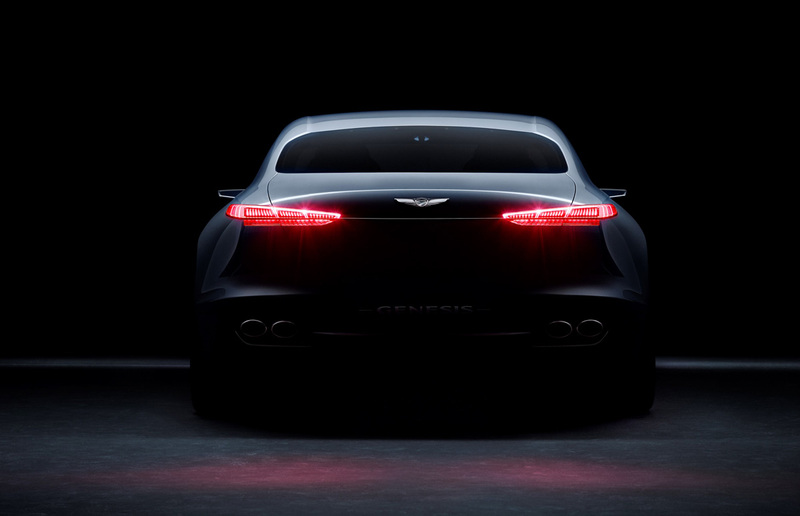 And at the New York Auto Show, their New York Concept gives is a good idea where they’re headed. Concept cars always have a purpose. 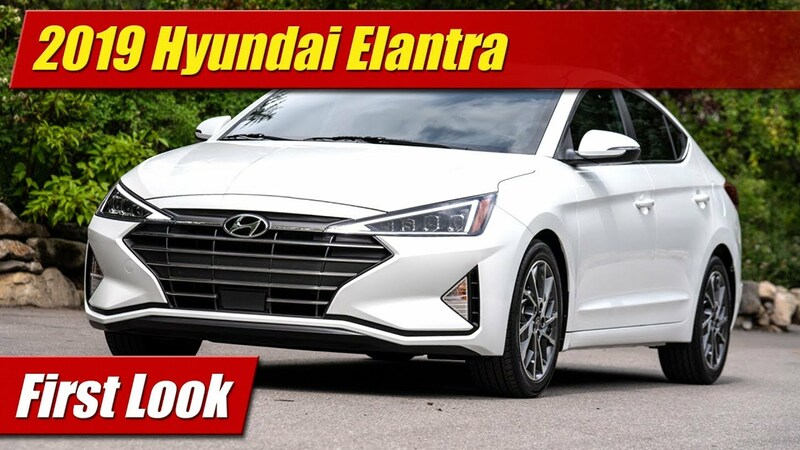 Sometimes they show us a future production model, other times they showcase new powertrain ideas, or even design concepts they want the public’s feedback on. Others do a little of both, which is what I think Genesis is up to here. 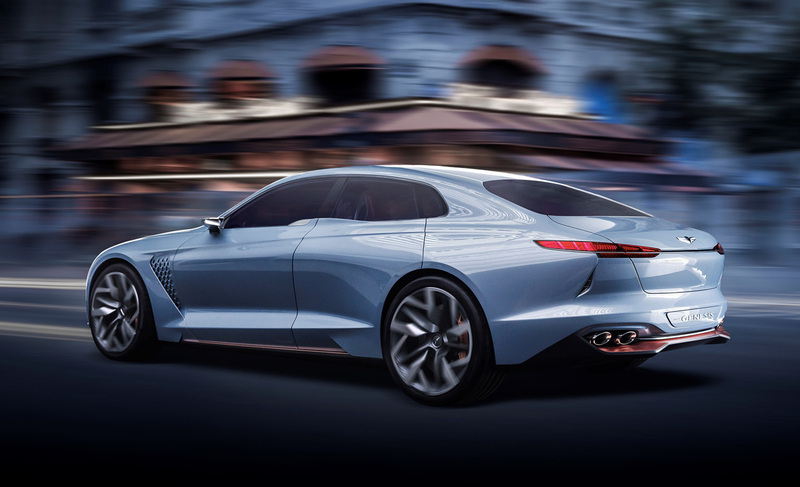 The New York Concept is meant to signal the new-brand’s future design direction for all of its products as it begins separating itself from Hyundai. After all if they’re going to be a stand alone brand, they need their own look. These design themes or languages always have a slick name too, and this one they are calling Athletic Elegance. Shown here in a large four-door sedan which would be a luxury sport hybrid, it does bring some new design details to the table. 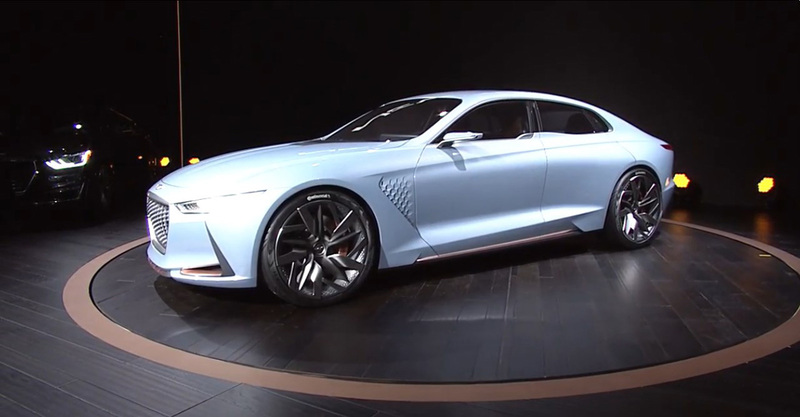 As Genesis has said their products will be based on rear-wheel drive architectures, the proportions here reflect that fact with a long nose and a passenger compartment set further back toward the rear axle. 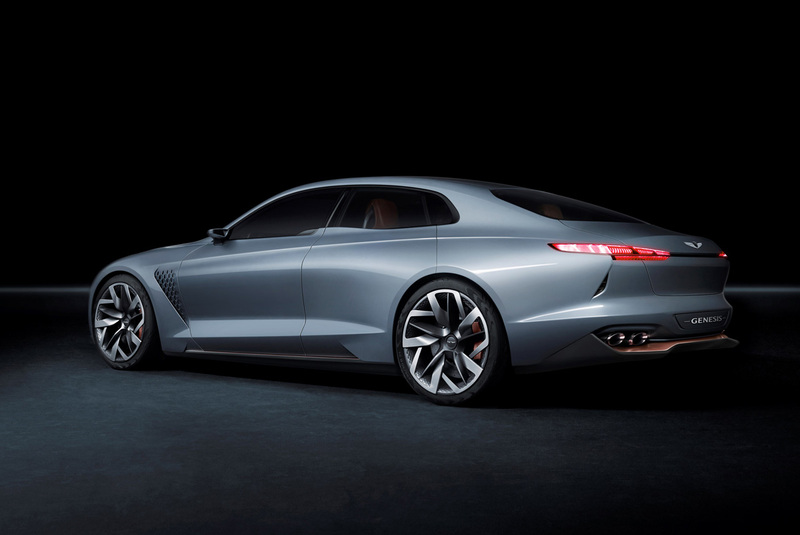 And while they aren’t calling this a coupe, its roofline is raked back such that it could be. It has some details I find interesting like the subtle kick up in the sheetmetal at B-Pillar intersection of the front and rear doors. We expect by conditioning to see a continuous line here, but they’ve added a nice dovetail here that adds visual drama. Also bucking the trend is the visual break between the hood and windshield, again something we expect to be uninterrupted. Here they’ve created a styling element that pushes forward into the hood lines and again, shows some creativity. 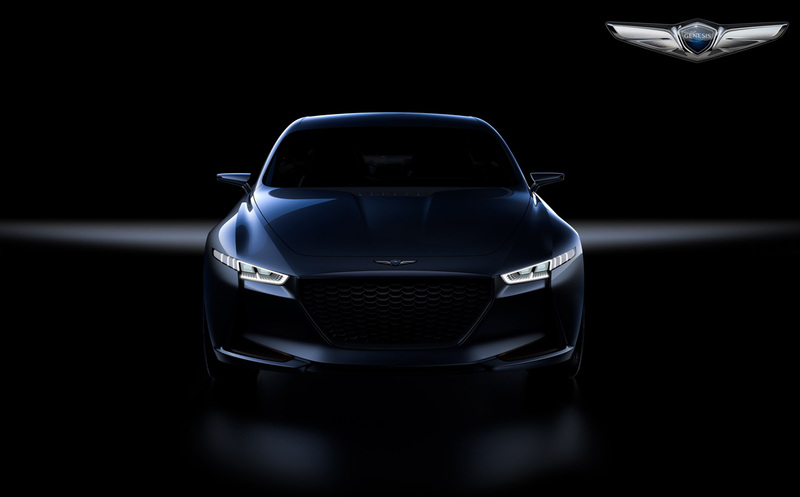 It’s face on the other hand is not far thrown from the most recent Genesis design language we’ve seen on the new G90 and the current Genesis sedan available at your local dealers. It is however lower and a bit more aggressive. Integrated fender vents have become popular in recent years both in concepts and production, and this has them too. They look good and make the car look sportier, but surely this fad will pass…or rather become passe at some point. What’s under the hood is still a popular theme, a hybrid powertrain instead of a hyper powered twin-turbo crazy mill. 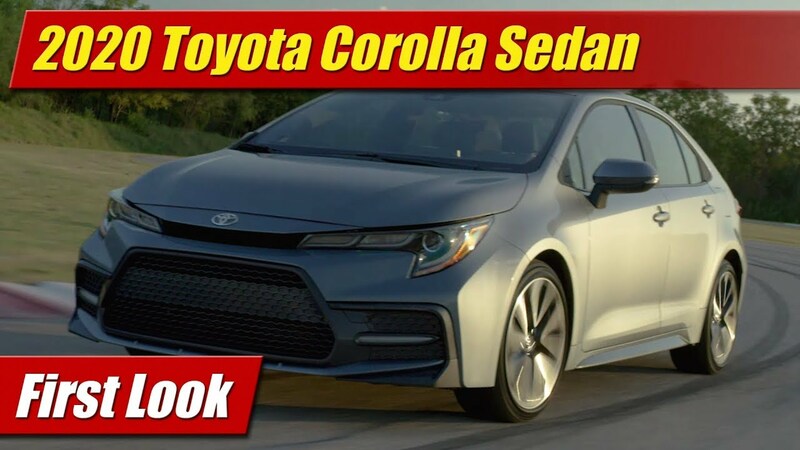 It’s 2.0 liter four-cylinder engine and electric motor send about 245 horsepower to its rear-wheels through an 8-speed transmission. 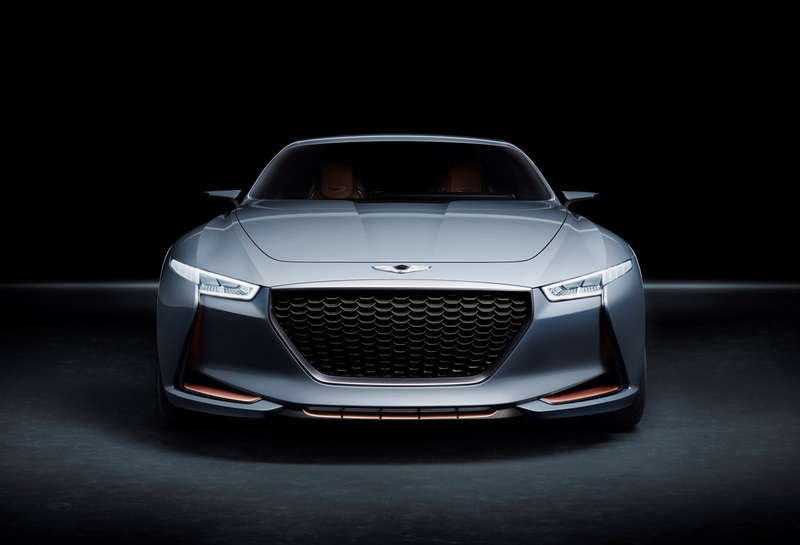 Genesis tells us it illustrates the brand’s future thinking on balance and luxury in a world growing and progressing to become less dependent on oil. 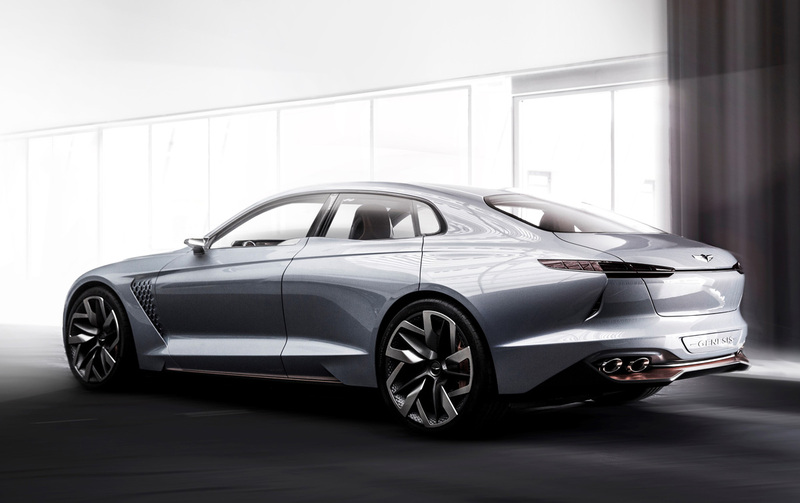 But if that’s a bunch of nonsense to you, the Genesis brand will still have a 5.0-liter V8 for you somewhere on the showroom floor. 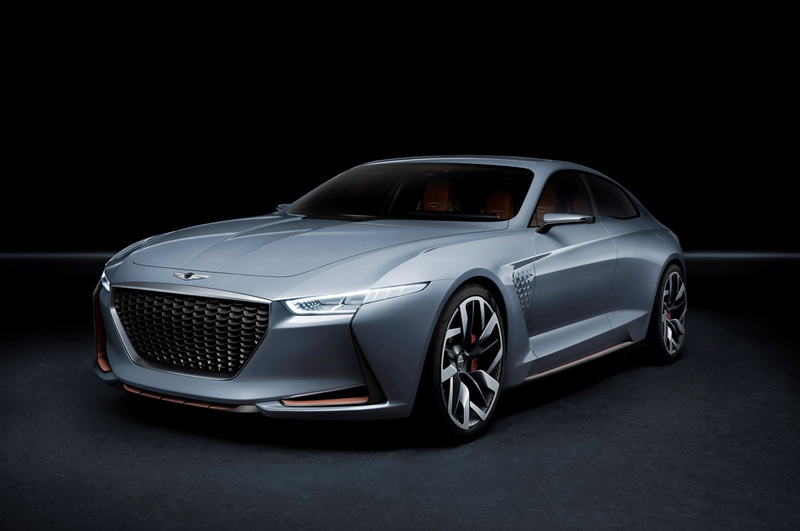 The Genesis brand will begin launching officially late this year with a new sales and marketing arm separate from Hyundai to begin selling their new G90 full-size sedan and other coming models.